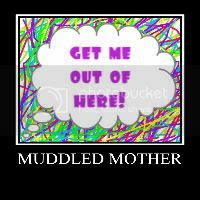 A Muddled Mother: Fasten Your Seat Belts Mommies! Fasten Your Seat Belts Mommies! The laughter was loud and sliced through my ears, my entire being in fact. The joviality was so out of place. Didn't these people know that there was suffering going on right under their noses? I instantly felt irritated with the crowded desk area in our local family court. The bailiffs (there were many), the clerks, the secretaries, the lawyers stood in a cluster happily talking of Ipads and websites and new technology. They were telling jokes and talking of plans for the weekend. I tried to focus on something else, but I was the sole human in the front waiting room (ours was the last hearing before lunch). Around the corner and behind me, my son sat with his father and his step mother waiting for the same hearing. But focusing on them just made me more irritated with their united front, with the fact that I (who had raised this child for the majority of his life) was the one sitting alone, with the fact that I was at court for the second time in my parenting career. ALL of it was irritating, rage inducing, and just plain ol' exhausting. However, incredulously, life went on around me. I wondered did these people know something that I didn't know? Didn't they have problems in their lives? Are they just as stunned when in the midst of suffering someone near them laughs? Do they think that laughter out of place as well? Mercifully, when they call our name, the bailiffs the lawyers, the clerks and secretaries returned to professionalism. Their faces reflected the somber feeling that one should have as a mother follows her child into a court room.fate unknown. Sitting behind him tears streaming, hands wringing a shredded tissue was truly the lowest point of my parenting journey. But as a parent whether of a troubled child or not, life is a roller coaster complete with all of the terrors and adrenaline pumping aspects that you'd expect. And just like that roller coaster, staying at the lowest point doesn't last long and the hill climbing begins almost immediately. Listening intently in the stark room I hear phrases like "doing better", and "volunteering for services not required." I hear "I want help" and "Yes sir" from my child's mouth. All of these utterances come as surprises because I am not privy to what goes on in my son's life. Seeing him is sporadic for reasons that are unknown to me and I don't allow myself to often ponder his absence because it is agonizing to my soul. But it seemed, sitting in that brown paneled official room that possibly, something had shifted in that boy that I love with all the fierceness of a mother. Could he be turning a corner? Leaving the court room my son says a humble and shy goodbye to me. The rarity of that exchange coupled with the positive reports to the judge made me feel like that roller coaster rider at the top of a steep hill. I wanted to shoot my arms into the air and scream with glee as I am sure many parents symbolically do when things are good for their children or if something not good is getting better. I am sure that most parents who reach the top of that metaphoric hill will relax their shoulders, will fill their lungs with oxygen; taking the deepest breath they have taken in a long time. I am sure that when things are going smoothly for these parents' children they are able to unbuckle their seat belts after assuring themselves that the roller coaster ride has come to an end. But I refuse to unbuckle the belt on my seat, and I often wonder if there are any other parents out there who experience the phenomenon that I experience. Let me explain. For me, perhaps for all moms of troubled children, hope is a dangerous emotion. Today there is a bit of hope in my heart. That beloved son of mine is making improvements. No calls from school for over a week, a kind and respectful attitude, even a dinner visit to satisfy his little sister's heart who was missing him something terribly. And I wish, how I wish I could relax my shoulders. How I long for that deep breath to fill my pinched lungs. How I long to unbuckle the seat belt. But I just can't. As a mom of a troubled son, I am just not ready to trust that the ride is over. 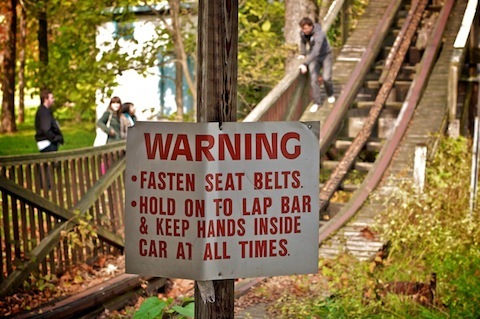 If the anger, resentment, poor choices, entitlement and vindictiveness return I will need that safety harness. How shameful I feel for doubting the staying power of this change. How guilty a mom can feel for when the confidence she has in her child's ability to treat himself with kindness and pride and thoughtfulness is close to nil. And yet, and yet a mother always hopes. "Maybe this time it will be different." That barely audible whisper tickles down in my ear and at the back of my mind making both the ear and the mind ache with a hope that is truly unwanted. Hope, you see is toxic to moms of troubled children. Hope weakens the straps on that safety belt; the straps that steel us against the lows on the roller coaster that seem endless and cruel. In a warped way good things, rationality and sane choices made and done by our troubled children are fear inducing because it gives a mother (or maybe it is just me. Is it just me?) It gives me permission to allow my guard to be let down ever so slightly. I may let go of the bar in the front of the roller coaster's car just to give my fingers a rest from gripping so tightly, I could roll my neck to relieve it of the pain that comes from being shaken around those pesky loops. And while preoccupied with my sore fingers and shaking off the pain in my neck, I wouldn't be prepared for the big and scary drop that may be just ahead around the corner. And so this mom, this mom of a child who needs more help than she is capable of giving, will pull the strap tighter on the safety belt, will white knuckle the bar in front of her, will keep her shoulders up to her ears, because moms like me need to be vigilant, ever vigilant for the next drop on a roller coaster we never wanted to ride in the first place.